We all know the successful innovation stories in Orthopedics. Stories about Danek, SpineTech, Kyphon, Arthrex, MAKO, Hand Innovations and Mazor Robotics that rocketed to success with innovation. The common belief is that the founders had a brilliant innovation idea and executed it perfectly. All of these companies iterated their way to success. No company inside or outside of orthopedics gets it right the first time. Amazon, Google and Facebook all iterated their way into success. Contrary to popular belief, Silicon Valley isn’t innovative… its iterative. Beneath the surface of the “Mona Lisa,” you’ll find layers of draft sketches, false starts, and major alterations. The Iterative Process could be the most over-looked tool in Orthopedics for innovation and success. As we enter the 2020s, this will be a killer app for orthopedic startups. Companies that create an iteration culture will win. 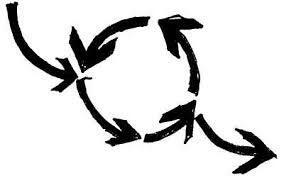 The definition of the Iterative Process is: A process for arriving at a decision or a desired result by repeating rounds of analysis or a cycle of operations. The objective is to bring the desired decision or result closer to discovery with each repetition (iteration). Think of the iterative process as a trial-and-error company culture. It’s a way of thinking not a tool. The big orthos cannot iterate. They are lost causes. Management is too afraid to make mistakes. This is why they over-pay for startups that have made the mistakes for them. When I worked inside the big Orthopedic companies, the focus was “design perfection”. The project goal statement spelled out the perfect total knee or pedicle screw or extremities system. Engineers would grind for years and then announce that the final design was ready for testing. There are obvious problems with the perfection approach – slow, costly, lack of new products in the pipeline, not enough customer feedback, group think, etc. Every year, there are a select few orthopedic companies who learn to iterate for innovation. This is where the magic happens. We redesigned our implant systems weekly. Can we make it better for our customers? We experimented with creative regulatory strategies. How do we find a way to receive 510(k) clearances for remote control implants in kids? We redesigned the implant assembly and testing processes weekly. Can we build the products faster and with less waste? We experimented with borderless sales strategies that quickly put us into 20 countries. Where are our evangelist customers and how do we best serve them? We reorganized the company every few months for speed. What is the best organizational structure and physical layout to go faster in the next six months? 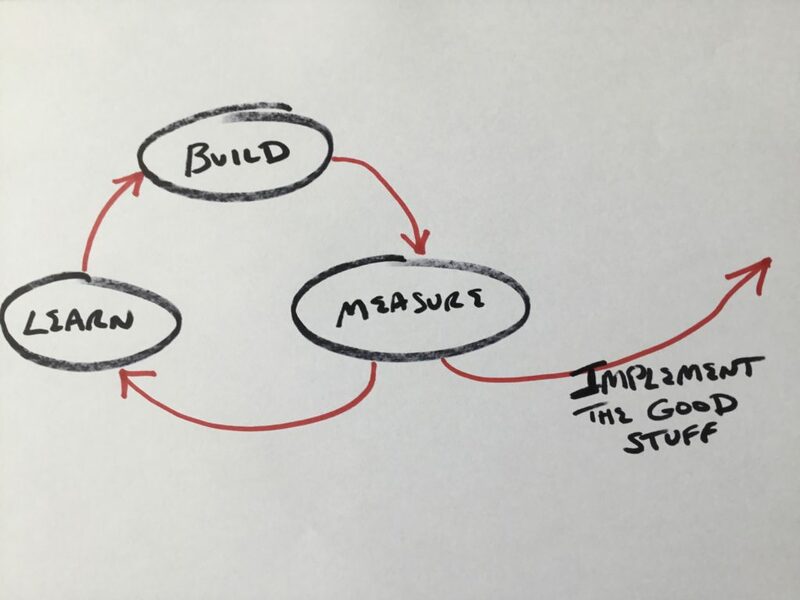 The mechanics of iteration are simple – build–> measure–> learn… and implement the good stuff. BUILD – Brainstorm and re-design the product, or process, or service, and do it fast. MEASURE – Put the new product in the field and measure it, test it, and get feedback fast. LEARN – Review the data and evaluate what happened. What are the bad pieces? What are the good pieces that can be implemented now? Any company can take advantage of iteration to out-innovate your competition. Try things in small doses. Instill an iterative process in all areas – product design, DTC marketing, surgeon training, regulatory approaches, and distribution models. Here are a few ideas. In Product Design, anoint a “Product Improvement Engineer”. This is a dedicated engineer who is in tune with surgeons and sales. He/she should attend surgical cases at least twice a month, and particularly those cases with unhappy surgeon customers (you learn nothing from happy customers), then come back and quickly redesign, and prototype for re-evaluation. This is an easy one. Today iteration is the only way to market. In 2020, you are marketing directly to surgeons and patients directly through social media channels. Fire your Marketing head if he/she is not changing ads and content regularly. Sales is a local phenomenon. Every city, every hospital, every surgeon is a different sell. Experiment with different selling techniques, different incentives, different training programs, different contracts and prices. Incentivize the sales force to cross-pollinate their winning techniques with others. When it works with one customer, try it with others. Try different pitches with different investors, keep the good stuff, discard the ineffective stuff, one size doesn’t fit all. Reward employees who embrace the iterative process. Catch them in the act and make sure that you publicly applaud their behavior. You are giving permission to the entire company to try new approaches. Over time the culture will start to change to experimentation, evaluation and implementation. Iterate + iterate + iterate + repeat => this will lead you to innovation.